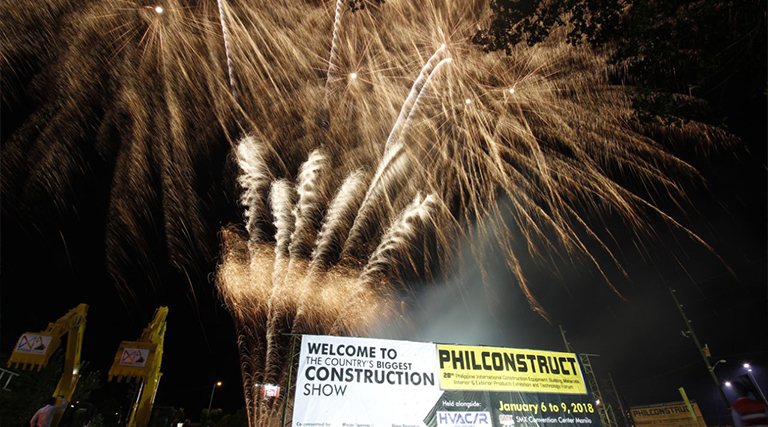 With more than a thousand brands from 23 countries participating, the 28th PHILCONSTRUCT opened its biggest edition yet at the World Trade Center and SMX Convention Center Manila. In attendance were stakeholders from both the public and the private sector, headlined by (in photo, center) Cathy Cabral of the, Undersecretary for Planning and Public-Private Partnership Service of the Department of Public Works and Highways and Undersecretary Ruth Castelo of the Department of Trade and Industry who attended the event as the official representative of DTI Secretary Ramon Lopez. 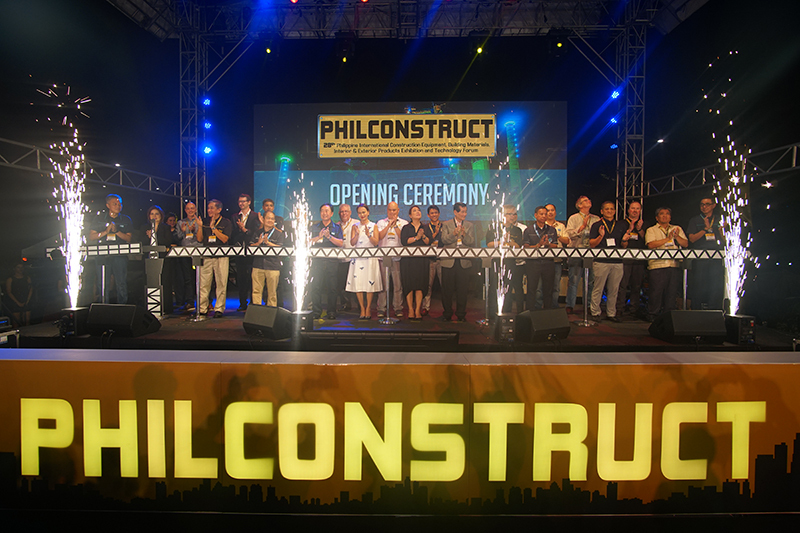 With them are representatives from the industry (first row, L-R): Will Decena, Overall Chairman of the 28th PHILCONSTRUCT; Ellen Chua, President of the American Concrete Institute – Philippines Chapter; Levy Espiritu, Past President of the Philippine Constructors Association (PCA); Cezar Punsalan, Convention Chairman of the 20th HVAC/R Philippines; Morris Agoncillo, incoming president of PCA; Domingo Yap, President of the Federation of Filipino-Chinese Chamber of the Philippines; Anthony Fernandez, Chairman of Philconstruct Events, Exhibitions, and Conferences Corp.; Leandro Conti, President of the Philippine Society of Ventilating, Air-conditioning, and Refrigerating Engineers, Inc.; Augusto Manalo, Past President of PCA; Ramon Allado, President of the Davao Constructors Association Center Inc.; and Barry Paulino, Executive Director of PCA.